With the EPL starting, many of you might have bought a jersey to support your team. It is intriguing how a mere piece of clothing stands for loyalty and values. 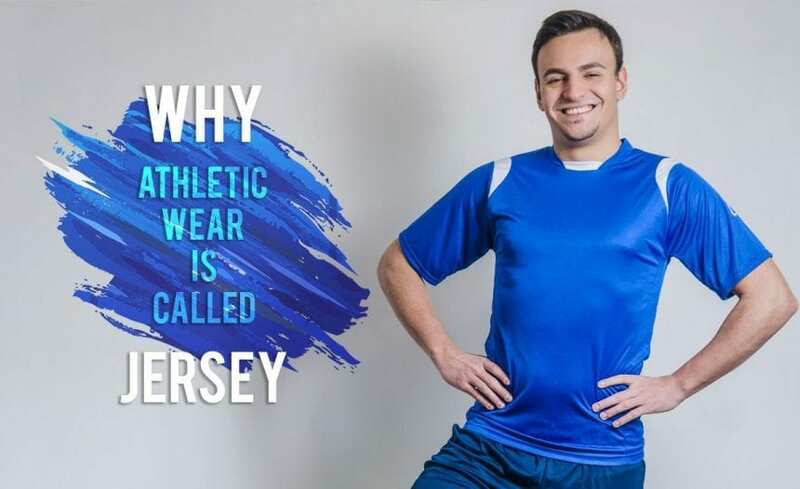 Have you ever wondered why this piece of athletic clothing is called ‘jersey’? Time for some guesses! Jersey cattle? New Jersey, US? Well, you are partly correct with both the guesses as it named after a place, but not the popular Garden State, New Jersey. The name ‘Jersey’ is derived from the name of an island, off the French coast of Normandy (affiliated to the UK), whose natives have been known for knitting hardy wool sweater-like material for centuries. Jersey Island, which is part of the Channel Island Archipelago, is also the original breeding ground of Jersey cattle, which is known for its high butterfat content milk. Jerseys were initially worn as an inner layer by rural seamen before gradually evolving into a type of common outwear. Famous for its tight weave and hence, its ability to retain warmth, its usage spread to the UK and Northern Europe as traders started mingling with the local communities during the late 17th and early 18th centuries. By 1850s, their popularity had grown so much that the name “jersey” became synonymous with “sweater. Their usage had spread to countries as far away as the United States at the same time. As American Football started becoming popular, jerseys provided an apt clothing solution for the players of the rough-and-tumble game. Bikers, golfers and athletes also started wearing the thick wool jersey sweaters. Towards the latter half of the 19th century, the term “jersey” became synonymous with the term “athletic uniform” as it had become with sweaters in the 18th century. During this time, the athletic jerseys bore little resemblance to their bulky ancestral tops. For example, baseball shirts, which were made of lightweight flannel and incorporated short sleeves, buttons and collars, were often referred to as jersey by the press. As time passed, new fabric innovations like Polyester came along but the name given to the old thick woollen sweaters kept stuck in the public imagination. Nowadays, we have a wide array of innovations to meet various kinds of sporting requirement. At Hyve, we use fabric with moisture wicking property which efficiently keeps the sportsperson dry. We use full digital sublimation transfer print technology to imprint our unique designs directly into the fabric to ensure no colour fading after multiple washes. In addition, we also use flatlock stitching to ensure smoother stitch surfaces so as to not cause bruises on the skin. Check out our latest designs and use code ’HYVE15’ to get 15% off on your first order.